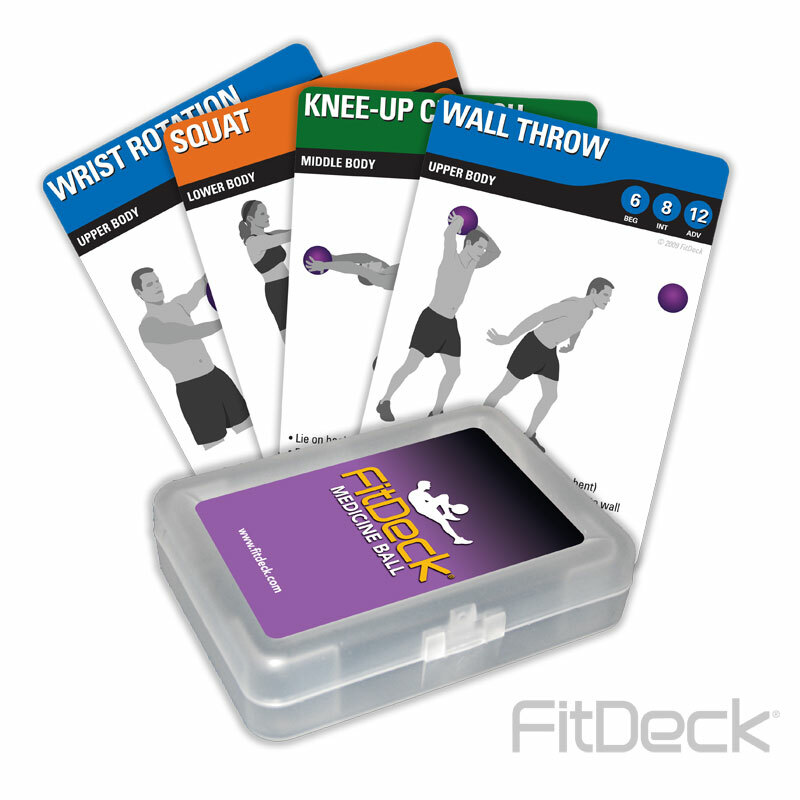 FitDeck ® Medicine Ball Cards help the user strengthens and tones entire body. Emphasis on core strength, trunk flexibility and lower back endurance. Unique cross-training opportunities when combined with other titles. Great for athletes, martial artists, and golfers. Targeted Users: Men and women (20-50 years).